Your bathroom is that place of your home where you can lock yourself inside, and have the privacy of your own room when needed. Bathrooms are like sanctuaries for some people, and lighting can really make a difference in this important area or your home. Your bathroom might appear to be one of the most basic areas of your home to illuminate. However, you can simply transform your sanctuary into a place where you can use artificial light to actually benefit you. Lots of homeowners design or redesign their bathrooms by installing a gorgeous mirror. Typically, the usual or go-to theme is to add light fixtures above the mirror, providing you the task lighting to get ready in the morning or to brush your teeth or wash your face at night. In the opinion of “Randall Whitehead”, a professional lighting designer, recessed lighting and light fixtures above the mirror are poor ways to make use of artificial light. 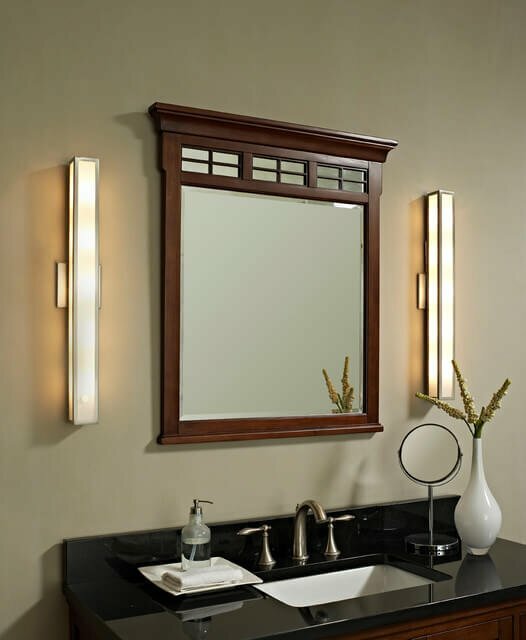 Vanity lights, installed on the walls on both sides of the mirror are a great alternative to the typical above the mirror light fixtures. When nearly everyone people think of a chandelier, they think of entryways or dining room halls. Then again, no one said you couldn’t add this same elegance to your bathroom. 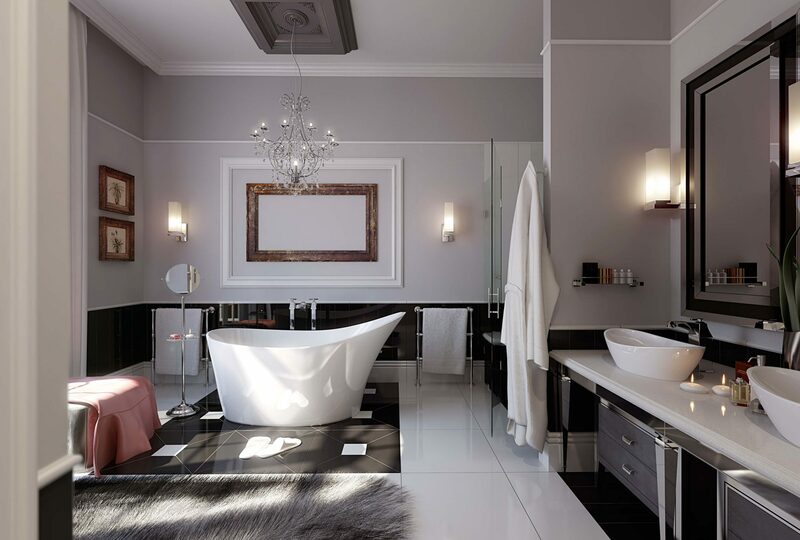 For sure you will make a statement with your bathroom decoration by choosing to add a chandelier. You don’t really need to go all out with your chandelier, but there are many hanging light fixtures to pick from that can give the same aesthetic as an luxurious chandelier. By adding a ceiling light fixture, you are setting a bold and distinctive appeal to your bathroom without investing in a lot of décor changes. Usually, light dimmers are perfect for areas of your home such as bedrooms, living rooms and even the kitchen. One place many people tend to pass up installing light dimmers is the bathroom. While the bathroom usually needs plenty of light for morning and evening tasks, it should also keep that sanctuary theme applicable throughout your lighting design. Actually, dimmer switches give you both options, whether it’s maximum artificial light or minimum dim light looks. Dimmers might help you relax while taking a long soak in the tub, or they can be dimly lit for visitors to find your bathroom when you have people over at your house. 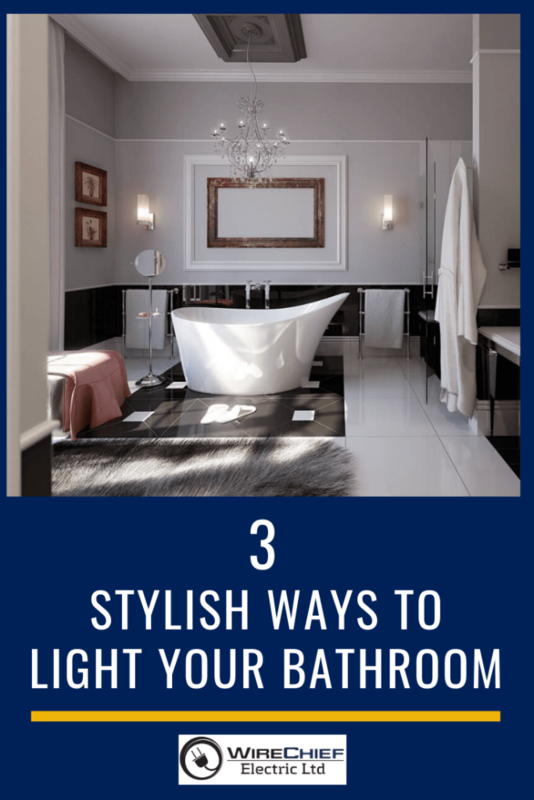 By selecting unique light fixtures you can really make the bathroom a stylish, unique and inviting room of your home.